In a small ceremony in the farming village of Petite Rivere de L’Aritibonite, Defense Minister Jean-Rodolphe Joazile greeted the first 41 recruits who recently returned from eight months of training in Ecuador. 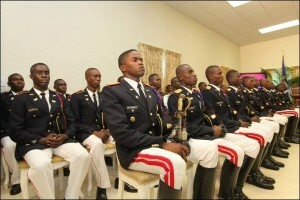 They will be the first members of a national military force that the government of President Michel Martelly wants to revive. Joazile said they will spend three months working alongside Ecuadorean military engineers among the rice fields in central Haiti to repair roads and work on other public service projects in their impoverished country, which was hit by a devastating earthquake three years ago. Almost all of those in the new unit are recent high school graduates. They include 30 soldiers, 10 engineers and one officer and will report to the Defense Ministry. They won’t carry weapons for now but could carry handguns, in three to four years, if either the recruits pay for the weapon themselves or the government receives financing to do so, Joazile said in an interview last week. “If the authorities give them permission, it’s not a problem,” Joazile said. CARACOL, Haiti — The young men playing dominoes in this tin-roofed fishing village used to have high hopes for the industrial park being built up the road. 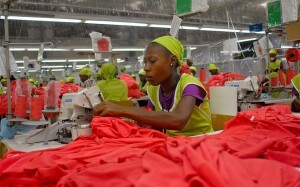 They had heard of the U.S. government’s plans to invest hundreds of millions of dollars in a part of Haiti where most people are barely scraping by, and promises from a South Korean garment manufacturer to create tens of thousands of jobs. 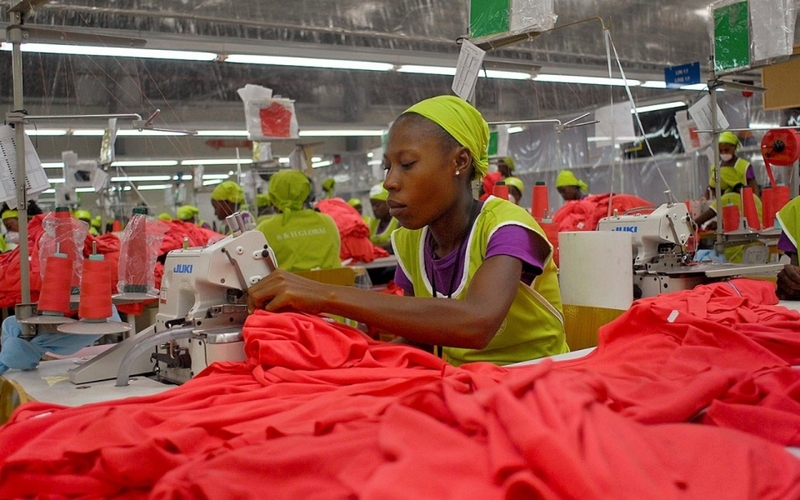 But less than a year after Caracol Industrial Park’s gala opening — with Bill and Hillary Clinton, Sean Penn, designer Donna Karan and Haiti’s current and former presidents among the guests — the feeling these days is disappointment. Hundreds of smallholder farmers were coaxed into giving up more than 600 acres of land for the complex, yet nearly 95 percent of that land remains unused. A much-needed power plant was completed on the site, supplying the town with more electricity than ever, but locals say surges of wastewater have caused floods and spoiled crops. 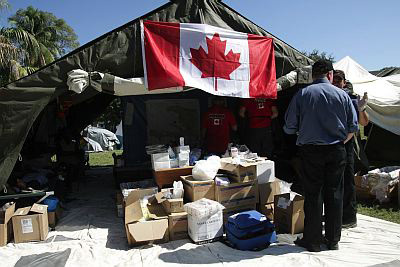 Despite much evidence to the contrary, for nearly three years, the United Nations has categorically denied that it introduced cholera into Haiti after the country suffered a devastating earthquake in 2010. Since then, cholera has killed more than 8,000 people and infected more than 600,000, creating an ongoing epidemic. As new cases continue to emerge, and the U.N.’s legitimacy continues to erode, it is time for the organization to apologize and take responsibility for the consequences of its actions and its inaction. In a new report, Peacekeeping Without Accountability , which was released Tuesday, members of the Transnational Development Clinic at Yale Law School (YLS) and the Global Health Justice Partnership, an initiative of YLS and the Yale School of Public Health, provide scientific evidence showing that the U.N. brought cholera to Haiti and argue that the organization’s refusal to hold itself accountable to the Haitian people is both immoral and illegal. As we detail, international law, including the U.N. Charter, human rights treaties, and status-of-forces agreements (SOFAs), requires that the U.N. provide individuals affected by its peacekeeping operations with mechanisms for bringing claims against the organization. The failure to provide remedies in Haiti is part of a recent pattern of the U.N. neglecting its legal and moral responsibilities in peacekeeping operations worldwide. A continued refusal would further undermine the organization’s claim to promote the rule of law and human well-being in its missions. 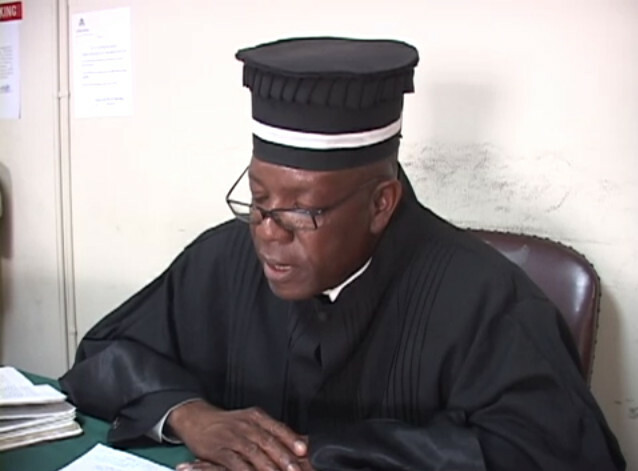 On July 13, Haitian Judge Jean Serge Joseph passed away under suspicious circumstances—sparking controversy within Haiti that his death was related to his involvement in a high profile corruption investigation against President Michel Martelly’s wife Sophia and their son Olivier. The charges of corruption against Martelly’s family are related to the disappearance of large sums of money from several nationwide sports and social programs which are personally run by Sophia and Olivier, instead of the respective government ministries that should provide oversight. A group of lawyers, including Newton Louis Saint-Juste and André Michel, initially brought forward the high-profile case in August 2012. On July 2, the case took an important turn when Judge Joseph ordered the Haitian Prime Minister, Laurent Lamothe, and several senior officials to appear in court as witnesses.